International Bat Night is held annually on the last full weekend of August. It takes place in more than 30 countries, primarily those covered by the Agreement on the Conservation of Population of European Bats. Bats are the only mammals naturally capable of true and sustained flight. They belong to the order Chiroptera that can be divided into two suborders: the microbats and the megabats. The two suborders have a number of differences. For example, megabats are generally larger than microbats, just as their names suggest (although there are several exceptions). Unlike microbats, megabats rarely use echolocation and instead rely on their keen senses of smell and sight. Bats are one of the most widely distributed groups of mammals; they play an important role in many ecosystems. Unfortunately, they are often killed due to prejudice (in many culture, bats are associated with malevolence, darkness, witchcraft, and death) or even hunted for food. 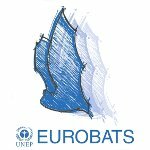 To promote the conservation of bats in Europe, the Agreement on the Conservation of Populations of European Bats was set up under the auspices of the Bonn Convention (Convention on the Conservation of Migratory Species of Wild Animals). Its main goal is to combat the deliberate capture, keeping or killing of bats in Europe, as well as to spread information about these animals and to combat prejudice. International Bat Night was established in 1997 to educate the general public about the way bats live and their needs. On the last full weekend of August, nature conservation organizations across Europe hold lectures, seminars, exhibitions, and other events dedicated to bats.